Radiator coolant, radiator fluid and antifreeze are all names for engine coolant. Engine coolant is one of the most crucial fluids for an automobile. The coolant runs through your radiator to remove excess heat. This keeps the engine from overheating. Then, the antifreeze chemicals stop it from freezing when the temperatures drop. The engine coolant may also prevent corrosion. For the water pump and other internal components, it can work as a lubricant. To avid expensive auto repairs, it’s important to replace your engine coolant regularly. 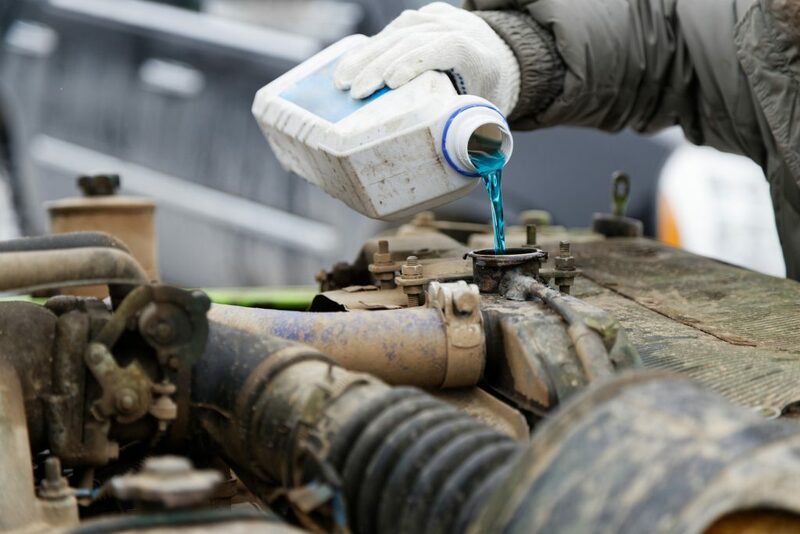 To replace your radiator fluid is also called a coolant flush. These flushes are crucial because it stops corrosion and prevents the car from overheating. Likewise, it allows your heater core, radiator and water pump to stay lubricated. You need to be able to identify dirty coolant. First, you need to know what the color of your coolant is to start with. These fluids come in green, orange, yellow and black. You should check the color of the fluid regularly. Usually, you should do this about once a weak. If the color starts to change, then you know it’s time to change the fluid. The biggest sign that you need to replace the coolant is when your engine begins to overheat. The temperature gauge on your dashboard will tell you how the engine is performing. It will let you know if the engine is too hot. If you see smoke, then you definitely have gone too long without auto repairs. Keep in mind that you should never operate a vehicle if the engine overheats. This will cause significant damage to your vehicle and may be dangerous. Always have it looked at professionally to avoid any expensive repairs. All of your vehicles need to have the fluids changed and flushed regularly. Most maintenance schedules involve changing the fluid every six months or every 3,000 miles. To avoid auto repairs, keep up with your maintenance.